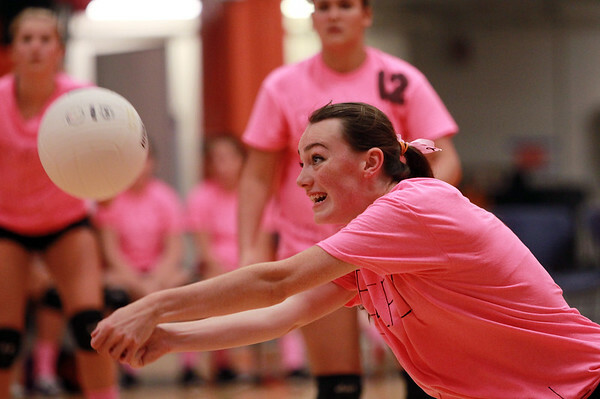 Beverly's Samantha Lear reaches forward to bump the ball to a teammate against Lynn Classical on Wednesday afternoon. DAVID LE/Staff photo. 10/15/14.